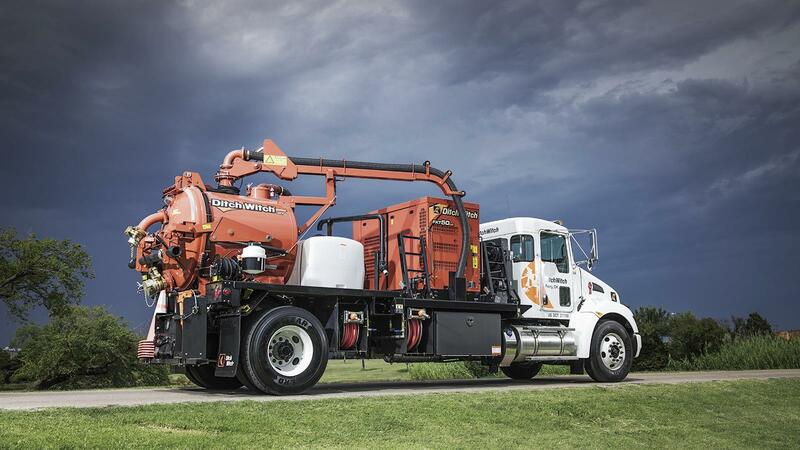 The Ditch Witch FXT30 Air was built based on your need for a powerful air excavation system. The air excavation process uses high-pressure air to loosen soils and then uses the dry spoils to backfill the hole when the job is done, eliminating the time and expense of liquid spoils removal. The FXT30 Air is designed with superior cfm and pressure for increased excavation resulting in higher productivity. And because it is not limited by fresh water availability, this machine allows for increased productivity and opportunity as it offers endless excavation capabilities. It’s perfect for jobs that restrict hydro excavation due to stringent environmental regulations. 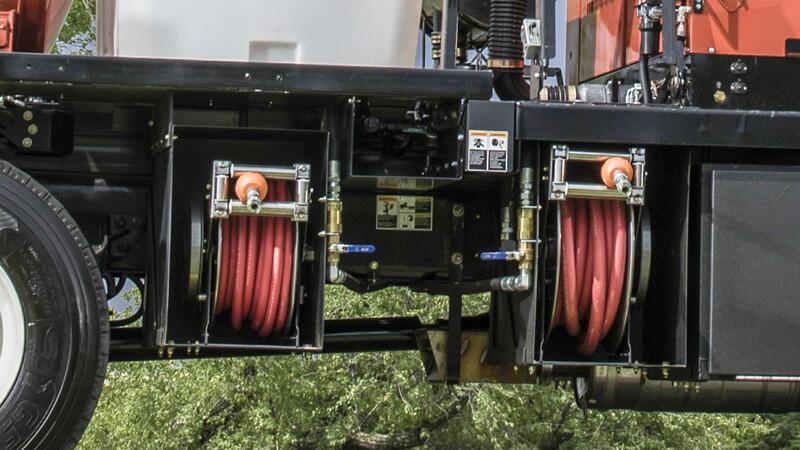 The FXT30 Air gives the versatility of having one unit with both air and hydro excavation systems onboard. It allows operator to utilize either function independently, depending on the demands of changing jobsite conditions giving extreme productivity and efficiency on the job. Features a powerful cyclone filter that removes fine particles during excavation minimizing maintenance. Utilizes environmentally friendly oil in air system reducing overall environmental impact when excavating. Air excavation system positioned under the deck for increased deck space and convenient access. Designed for minimal overall package height, resulting in a lower center of gravity and better handling during transport. Saddle-style tanks provide optimal weight distribution to keep payload over rear axle. Endless excavation capability is not limited by fresh water availability. Air excavation uses dry spoils to backfill the hole when the job is done, eliminating the time and expense of liquid spoils removal. 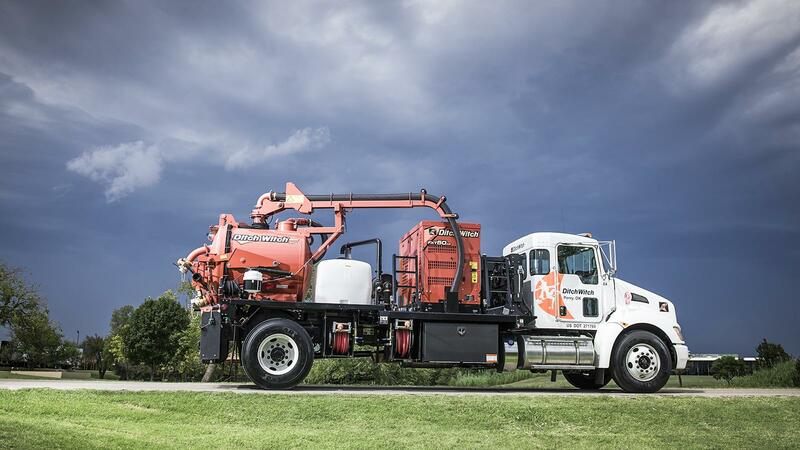 The versatility of having one unit with both air and hydro excavation systems allowing operator to utilize either function independently, depending on the demands of changing jobsite conditions giving you extreme productivity and efficiency. 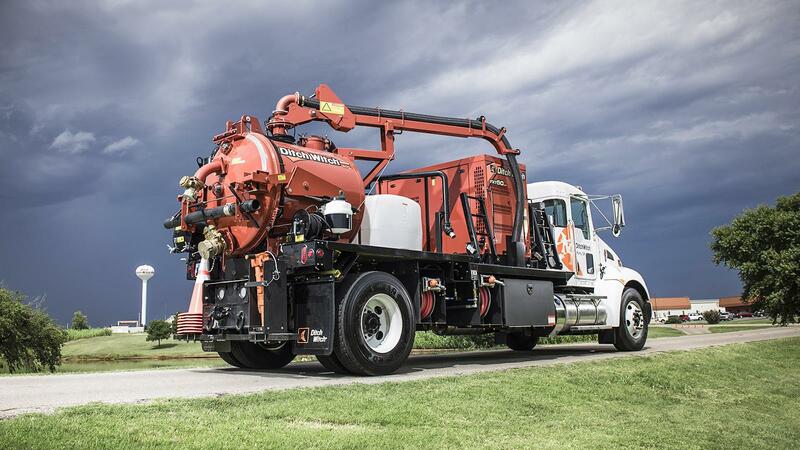 The Ditch Witch designed air lance utilizes full system capabilities of high CFM and pressure for greater excavation performance. Low pressure setting powers various pneumatic tools such as jack hammers, tampers, impact wrenches and chippers. V-TEC controller allows for simple operation and monitoring of system parameters. Easily accessible controls and service points; curbside controls can be configured for left- or right-hand traffic, for greater safety and convenience. Optional cold weather kit for operation in inclement weather and frigid climates. Equipped with a 24.8-hp (18.5-kW) Kubota® diesel engine, the FXT30 Air has an extremely efficient 500-cfm (14.2-m3/min) blower. Powerful water system with a water pressure capacity of 3,000 psi (207 bar) and 4.2 gpm (15.9 l/min) flow. Auto-clutching feature disengages the water pump when water is not in use, allowing full system power for suction. Increased CFM and pressure promotes performance and productivity. Unique Ditch Witch design utilizes efficient transfer of power, eliminating lag times. PTO driven air compressor provides air on-demand. Advanced mechanical design leverages power already available in the truck without requiring additional horsepower to run components. Dual air pressure system allows the operator to switch instantly from high pressure for excavating jobs to low pressure for auxiliary air tools. Choice of air excavation systems: Series 10 Air System with 200 cfm (5.7 m3/min) and 250 psi (17 bar) or the Series 12 Air System with 300 cfm (8.5 m3/min) and 250 psi (17 bar).